WELL-known community activist Andy Patton has confirmed he will run in the forthcoming council elections this May. 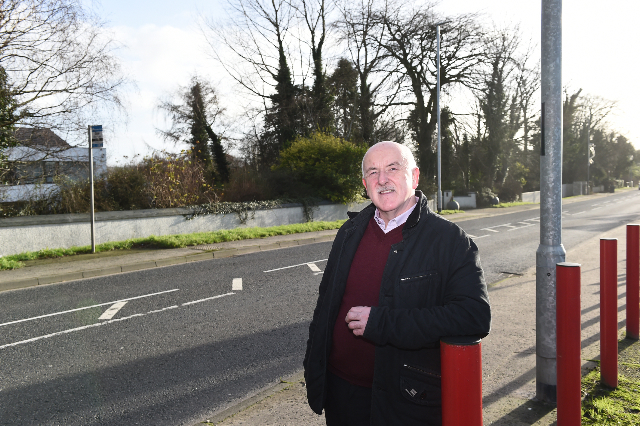 Set to stand in the Derg electoral area, Mr Patton explained that the decision to throw his proverbial hat into the political ring was a “long time coming.” And it was only after he discussed the move with family and friends that he determined to make his move. A mechanic by trade, the Sion Mills man believes that community concerns must be given a louder voice in the Guildhall. “My view is that this is about local people and local communities,” Mr Patton said this week. “I do believe there is a need for more community input at council. “But I’m not going to lambast any of the current councillors. People who know me know that I have a positive energy and I want to bring that to council. Insisting he’s not just in the race, “to make up the numbers” Mr Patton says he will base his campaign on four core issues. “There will be at least four issues but I’m going to reveal these closer to the time, as well as my election team,” he continued. Andy Patton was awarded a British Empire Medal for his services to Sion Mills in 2015.